Customer experience (CX) is unarguably one of the key business differentiators, and chatbot integration is one of the various means that pave the way to achieve and maintain it with perfection. So, if you have a dream that you don’t get counted in laggards, it’s time to invest in chatbot development. Wondering how to get started with? Well, here is a list of top 10 chatbot platforms that are equipped with basic and advanced resources to build a chatbot. Price: Free with basic features; a Chatfuel Pro ($30/month) with advanced features is also available. This chatfuel builder platform is offered by a company based in San Francisco, CA, USA, with the same. The platform was released in 2015 and provides easy-to-use resources with the drag-n-drop feature. The simplicity makes it the ideal platform for beginners or any businesses that want a chatbot to perform basic roles. Chatbot derived from Chatfuel works on pre-defined coded rules and serve clients accordingly. Botsify is another popular chatbot platform offered by a company based in Santa Clara County, State of California, USA. Using its custom templates, for travel, restaurant booking, etc. equipped with drag-and-drop functionalities, anyone can create bots effortlessly without writing a single line of code. Even the free version comes with 20 templates. The number increases as you upgrade. Botsify provides human takeover ability for a smooth transition from a bot to a human, and users can make use of emojis in their conversations. Price: Free, Standard ($19/month), Further upgraded to handle more interactions. This chatbot platform is offered by Flow Xo, a technology company based in England & Wales. It offers templates and tools that you need to create a talking bot. You can run and test the functionalities of your bot with built-in Test Console. There is a provision for you to connect with your customers over voice and chat whenever required in between the conversation. 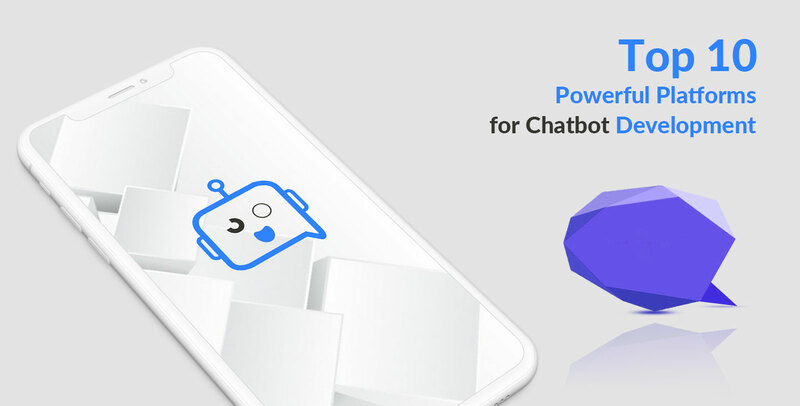 This chatbot platform is owned by China’s search giant Baidu and is based in Washington State, United States.It’s equipped with hotword detection (no internet required), semantic parsing, natural language understanding, conversational engine (multi-turn support), and neural network powered machine learning model. It offers a repository of features and tools that can be used within a drag-and-drop interface. KITT.AI supports an array of use-cases including home automation, commerce, and can be integrated with web and mobile apps with ease. However, it provides a complete set of tools that can be utilized to build standalone chatbot for businesses. IBM Watson is the preferred chatbot development platform when it comes to building an AI chatbot that can handle a complex conversation with ease. According to Chatbots Journal, IBM Watson is the first choice as a bot-building platform for 61% of businesses. It can process around four terabytes of data and is hosted on a cluster of ninety IBM Power 750 servers, each of which uses a 3.5 GHz POWER7 eight-core processor. Chatbot developers can leverage a wide range of technology frameworks like Node SDK (Software Development Kit), Java SDK, Python SDK, iOS SDK, Salesforce SDK, and Unity SDK to make IBM Watson with different platforms. IBM Watson chatbot can serve different verticals including customer engagement, education, financial services, health, IoT, media, HR, and workplaces. Offered by Microsoft, Azure Bot Service provides a scalable, integrated connectivity and development service to help developers create intelligent bots that can engage users across multiple platforms. The development tools are provisioned with Microsoft Bot Builder SDK, which .NET and Node.js developers can access and use to create engaging talking bot. The SDK also includes an emulator for debugging your bots, as well as a large set of sample bots you can use as building blocks. The cloud-based service is globally accessible across 141 countries, and bots can communicate in multiple languages including English, French, Italian, German, Spanish, Brazilian Portuguese, Japanese, Korean and Chinese. Semantic Machines is an AI development company with offices in Berkeley, California, and Boston. It offers a language-independent technology platform that goes beyond understanding commands to understanding conversations. Its Conversational Engine can deal with text and speech and can absorb knowledge from the users to enhance its capabilities. Semantic Machines supports a wide range of use cases ranging from business productivity, customer acquisition and customer service for travel, eCommerce, Concierge, Search, Automotive and beyond. Reply.ai is a visual bot builder powered by natural language processing (NLP) engines and is especially targeted at the insurance sector. The company operates from NYC and Spain. Wit.ai can help with advanced use cases to help insurance companies optimize their sales, marketing, and customer service operations and reduce costs. It has extended its services to enterprises as well as cross-Industry Enterprise Solution. ManyChat is packed with important tools that make chatbot development easier and faster. With an easy-to-use API, anyone can integrate or embed it on their website. It does have an effective subscriber tool that makes it easier for the chatbot owner to find more users and push the brand’s reach. With a basic ManyChat chatbot platform its easy to welcome new users, schedule posts, market content, set up keyword auto-responses (text, pictures, menus), automatically broadcast your RSS feed, and much more.